What do you think happens when the co founder of Ethereum, decides on creating another ecosystem altogether? He has certainly stepped up his game and has created a cryptocurrency which he believes has the potential to give Bitcoin a stiff competition. It is an entirely new technological platform that focuses on running financial applications, used and utilised by individuals around the world. Charles Hoskinson, a former Ethereum CEO, and co-founder created Cardano with a team of individuals who aim to regulate computing which will bring about a greater financial inclusion for all. It shall do so by providing them with an open access to financial services. What better to safeguard your assets ( digital ones) than the father of Icarus, the creator of his wings, the artist who was eventually blessed to fly like the gods themselves. Daedalus is an apt name for Cardano’s Wallet. Encrypted private keys and spending passwords, offering protection against security threats such as malware. Wallets can be exported to paper certificates, giving the maximum security option of placing funds in cold storage. Ada redemption is built directly into Daedalus and supports encrypted and unencrypted redemption certificates. Configurable transaction assurance level monitoring, allowing users to be sure when transactions become irreversible. Ouroboros, is the first Proof of Stake protocol that has been mathematically shown to be absolutely secure. It is also very famous in the Blockchain community as it is the first platform that has gone through peer review after its presentation at Crypto 2017, the leading cryptography conference. The security level that it offers its users, guarantees that it is mathematically proven. The team behind it have created an innovative and practical use of the Ouroboros. They have used it to produce the randomness from the leader election process. It is done in such a manner that a secure, multiparty implementation protocol takes place. 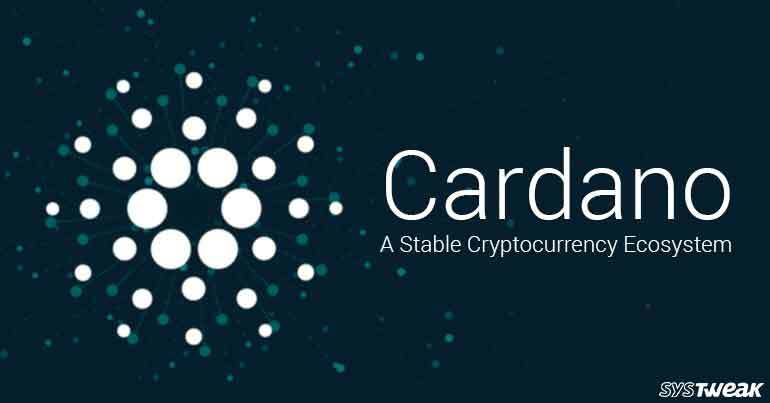 After more than 2 years in planning and development stage, the Cardano Blockchain is ready to fill in the gaps of the flaws it believes the Bitcoin Blockchain has. Cardano’s ADA token was made available for trading on the 1st Oct 17 and has risen to $ 3.8 Billion, surpassing Ethereum Classic, Monero and NEO. Traders are seeing it’s potential and it is going to skyrocket further. It just maybe the first cryptocurrency that bypasses Bitcoin to reach the moon!